German media continue to speculate as to when Stadler found out about the company's diesel-emissions violations. BERLIN -- Top officials at Volkswagen Group's Audi division will meet next week to discuss a raid by German prosecutors on the automaker's premises last week, and the standing of its embattled CEO Rupert Stadler, sources said. Munich prosecutors last week searched the offices of Audi's Ingolstadt factory, a plant in Neckarsulm and other locations. Audi, its parent company Volkswagen and Jones Day, the U.S. law firm hired by Audi and VW to investigate the emissions scandal that has rocked both companies, were also targeted in separate raids. Audi's supervisory board will convene on March 29 to question executives about the extent and possible consequences of the searches, three people familiar with the matter told Reuters on Tuesday. But the main topic of discussion will be whether the 20-member board should recommend to shareholders at their May 18 annual general meeting that they ratify the actions of Stadler in 2016, the sources said. Such shareholder votes are common at German companies, but in the wake of the emissions violations the vote on whether to sign off on CEO Stadler's decisions will be no formality. There has been speculation in the German media as to when Stadler found out about the emissions violations. 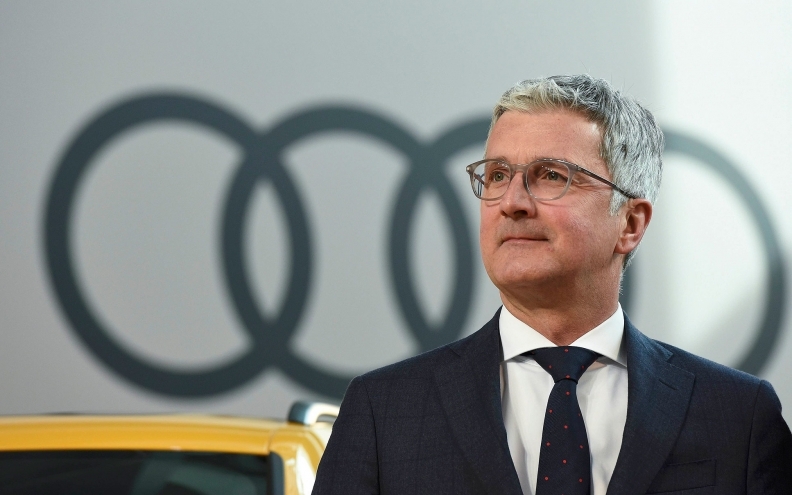 A previous meeting of the Audi board in late February did not pass a resolution on recommending a vote to clear the CEO. Audi declined to comment regarding the March 29 meeting. Audi, VW's main earnings generator, admitted in November 2015 that its 3.0 liter V-6 diesel engines were fitted with an auxiliary control device deemed illegal in the United States that enabled vehicles to evade U.S. emission limits.